DEK Travel Journal: Bringing the Travel Party to You! When planning a travel party, be sure that guests bring their travel documents! In December 2013, I created the web site, DEKTravelJournal.com. To this day, the site features articles about my travel experiences, travel news, popular destinations, and valuable traveling tips to inspire fellow travelers’ around the country. In January 2015, I started producing travel lectures to bring my passion for travel to life. Among my popular lecture topics are cruising, Amtrak travel, Walt Disney World, Hawaii, the U.S. Virgin Islands, and Barbados. Known for being the young-at-heart, I have decided to add one more piece to my travel writing and lecturing repertoire. Why must a library be the only venue where I can do a travel lecture? Let’s have a party! Let’s combine my lectures and party into one! Let’s make it a travel party! 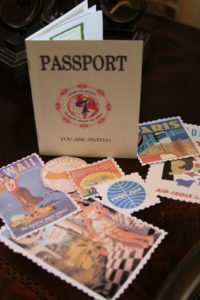 What will a travel party be all about? What will travel parties revolve around? 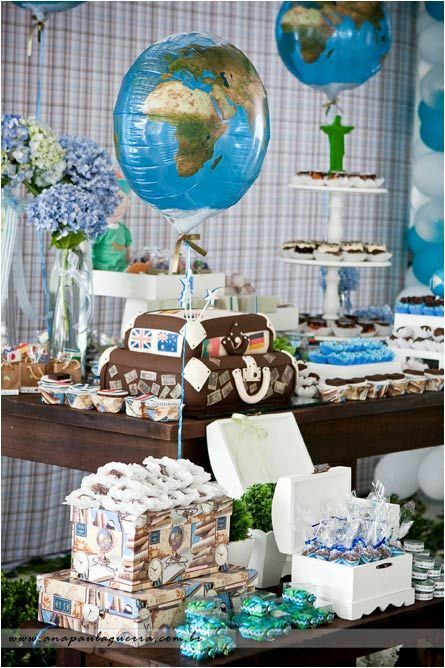 When anyone books a travel party, they will have the choice of fifteen themes. The themes are based on my current fifteen lecture topics. My list of topics are the following: Cruising, Amtrak travel, Walt Disney World, Washington, DC, Newport, RI, the New Jersey shore, Boston, Hawaii, Puerto Rico, the U.S. Virgin Islands, St. Maarten/Martin, Jamaica, Barbados, Bermuda, and The Bahamas. My newest lecture on Bar Harbor, ME, will be completed before the end of September. A travel party doesn’t go to where the party planner chooses, it goes to the destination where the client chooses to. What’s the structure of a travel party? 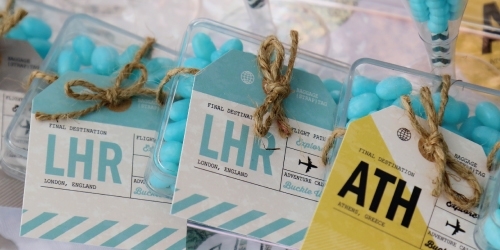 The details of a travel party are highly sophisticated, but not complicated. Being the presenter and party planner, I will conduct a presentation on the topic of the client’s choice. I can bring the projector and screen, unless clients have their own. I will also provide the decorations. Before I purchase decorations, clients must consult with me. This is necessary in order to provide the appropriate party atmosphere of their liking. Due to the present day concern of food allergies, clients will be responsible for providing food and beverages. 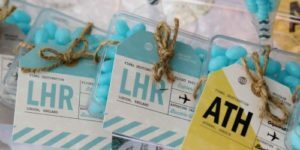 What is the cost of a travel party? It is solely based upon the length of party time and services provided. The initial cost of a party is $500.00, based on a two-hour minimum. Each additional hour is $100.00. The initial cost does not include materials provided. Decorations are an additional cost, since they’re based on clients’ wishes. Planning any type of party should never be a technical process. As they say, “K.I.S.S-Keep it simple, stupid!”. Planning a travel party should be fun; as much fun as the event itself. A travel party is supposed to transport the guests to the destination. One can imagine the look on the face of this little guest of honor! A travel party is nothing without decorations. At a travel party, it is all about the destinations, and putting guests in the middle of those settings. Decorations range from the eating utensils, to the paper plates, to party favors, to fun and games. Travel party decorations are supposed to virtually transport the guests or even the guest of honor to those destinations. For example, having a Walt Disney World travel party would make the perfect party atmosphere for young children, or guests who meet the height requirement of popular attractions. For example, I have my Disney Parks trivia game. 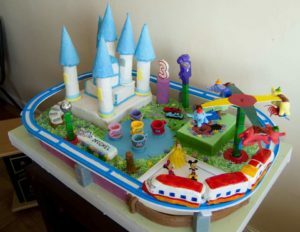 It consists of more than two hundred questions pertaining to Walt Disney World. Guests pick any question number from 1 and 251. Whichever question they pick, is the question he/she must answer. If he/she answers the question correctly, he/she will win a Disney-themed prize. A travel party is not just a celebratory event, it is both informative and inspirational. It’s entirely about the destination. It’s been an unforgettable journey being a published travel writer and a travel lecturer. Being a travel lecturer has added an exciting chapter to an incredibly rewarding job. 2018 marks the beginning of a new chapter for DEKTravelJournal.com. Since 2013, my writing and lecturing have attracted the attention of travelers and readers everywhere. Now, it’s time for travelers to celebrate their favorite destination. A travel party is more than just fun. A travel party is cost-friendly. If anyone dreamed of hanging loose like the Hawaiians, a travel party is the most imaginative road taken. If anyone’s ready to celebrate Rasta style like a Jamaican or Junkanoo style like the Bahamians, a travel party is the perfect choice. If anyone wishes to party Guilded Age style like they used to in Newport, RI, a travel party is the right choice. If traveling on Amtrak is your favorite way of traveling, there’s no better way to celebrate than with a travel party. Looking forward to a dream destination? Let me bring your dream destination into your home!